Studio: Pokeprod, Reel One Entertainment. Cast: Erica Ash (Regina Young), Redaric Williams (Franklin Young), Eva Marcille (Trish McDonald), Allen Maldonado (Ulysses Danbert), Nathan Davis, Jr. (Thomas Wallace), Mykel Shannon Jenkins (Chris Dunn). Story: The Chesterton Hotel was the location of the Christmas Day wedding of Regina and Franklin Young. When Franklin, a record exec at an up-and-coming hip-hop label, comes home at dawn after a long night of partying in the city, Regina mistakenly thinks he has cheated on her with his ex-girlfriend and present pop star client, Alex Palomino. Franklin denies it but the trust has been broken and there’s nothing he can say to make it right. The couple separate and the divorce is set to be finalized on Christmas Day. Regina’s best friend and sneaker empire heiress, Trish, gets Regina back into the dating scene. Franklin still loves Regina and is hoping for a reconciliation, but when she gets engaged to multimillionaire tech entrepreneur Ullyses Danburg, Franklin thinks there’s no way he will ever win her back. But there may be a happy ending for Franklin after all, and just in time for Christmas. Source: TV One. Cast: Brely Evans (Leslie Major), Andra Fuller (Edmund James), Persia White (Millicent Williams), Porscha Coleman (Belinda King), Travis Winfrey (Kevin Boudreaux), Nathan Davis, Jr. (Thomas Wallace). Story: In You Can’t Fight Christmas the Chestertown Hotel is being all decked out for Christmas by Leslie Major, who is the designer behind the Christmas magic. While decorating the hotel, Leslie finds out about the plans that Edmund James, nephew of the hotel owner, and his uptight business partner and love interest Millicent, have to turn the old hotel into an upscale resort once Edmund inherits the hotel from his uncle. Scheming Millicent also has plans for Edmund that involve a wedding ring but Edmund may not be ready to take their partnership to the next level. Leslie enlists her merry team of helpers to help save the hotel and in the process, shares more than a little Christmas spirit with Edmund, who hasn’t celebrated Christmas since his parents divorced around Christmastime when he was a teen. Actress Marla Gibbs makes a special appearance in this holiday romance as one of the many hotel patrons who return to the homey Chesterton every Christmas season. Source: TV One. 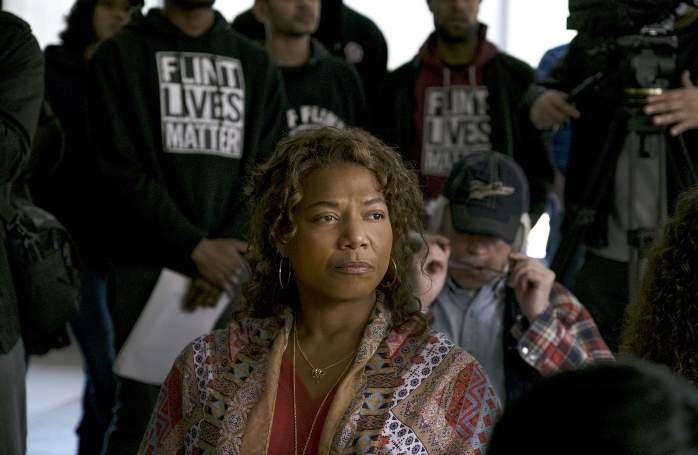 According to Deadline in May 2016, an unauthorized Angela Davis Biopic By ‘Shameless’ Scribe LaToya Morgan was acquired by The Firm. The untitled script will be produced by The Firm’s film division president Robbie Brenner along with Jeff Kwatinetz and Kevin McKeon. 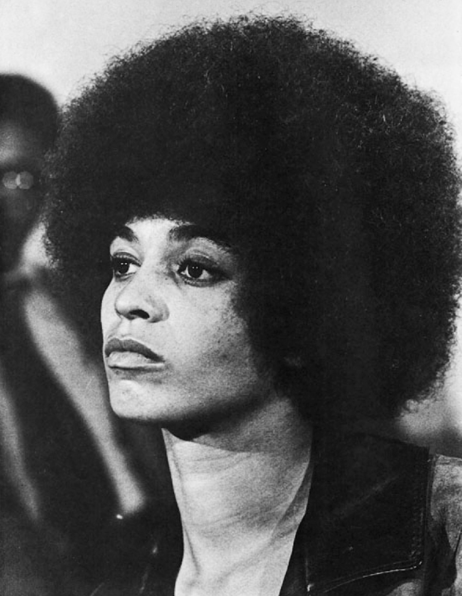 Angela Davis, accused of conspiracy in the murder of a federal judge, became the first woman on the FBI’s 10 Most Wanted list, and an iconic symbol of an era. After fleeing from authorities, she is eventually captured and must exonerate herself from an all-white jury during the racially turbulent early 1970’s. Robbie Brenner stated, “Although the events of this film take place three decades ago, Angela Davis’s story holds a strong relevance in today’s political and social landscape, and we are excited and honored to tell it along with LaToya.” Source: Deadline. Variety reported on 8/9/16 that Codeblack Films, a division of Lionsgate aimed at bringing positive representations of African Americans to the screen, has acquired the movie rights to Angela Davis: An Autobiography with plans to develop and produce an authorized Angela Davis biopic film. The untitled film will be produced by Nina Yang Bongiovi, whose credits include Fruitvale Station and Dope. Sidra Smith, a producer on the 2012 documentary Free Angela and All Political Prisoners, and Codeblack Enterprises CEO Jeff Clanagan will also serve as producers on the project. As of 3/22/17, Forest Whitaker has joined Codeblack Films’ untitled Angela Davis biopic movie project as an executive producer, according to Variety. Angela Davis was a leader of the U.S. Communist party in the 1960s. In 1969, she was dismissed from her role as acting assistant professor in the philosophy department at UCLA when her political allegiances became known. In 1970, she was charged with murder, kidnapping and criminal conspiracy for her suspected involvement in a courtroom shootout. She was eventually acquitted of all charges. She later returned to academia and wrote books on feminism and race. Ms. Davis will serve as executive producer along with her niece, Eisa Davis, who is also writing the script. Source(s): Variety; The Guardian. Photo Source: Storify. ​As of 5/2/17, a biopic about the DeBarge family is in the works. TV One is prepping the project, titled All This Love: The DeBarge Family Story. Set to air Fall 2018, the film will focus on the story the DeBarge family, one of the most popular family groups in American music history, as told by the family matriarch, Etterline Abney. Robert Louis DeBarge, Sr. was a soldier who served in the United States Armed forces and was of French descent. He met Etterlene Abney, who is African American, in Detroit, Michigan in the early 1950s. They married in 1953 and stayed together for 21 years before divorcing in 1974. 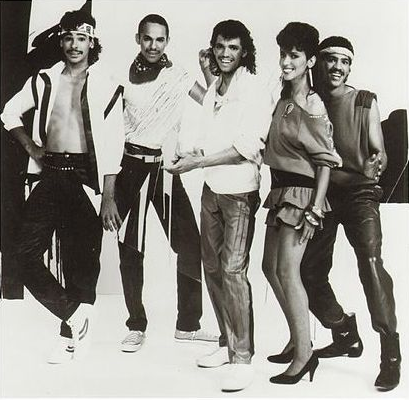 Robert and Etterlene had 10 children: Etterlene ‘Bunny’ DeBarge, Robert Louis ‘Bobby’ DeBarge, Jr. (deceased), Thomas Keith ‘Tommy’ DeBarge, William Randall ‘Randy’ DeBarge, Mark ‘Marty’ DeBarge, Eldra Patrick ‘El’ DeBarge, James DeBarge, Jonathan Arthur ‘Chico’ DeBarge, Carol ‘Peaches’ DeBarge, Darrell ‘Young’ DeBarge. The children claimed that their father sexually abused several of them, which the father denied. Source: Lipstick Alley. Photo Source: Wikipedia. Tyler Perry is set to Play Pioneering Filmmaker Oscar Micheaux in HBO Biopic. Craig Zadan and Neil Meron are shepherding the project for Sony Pictures TV through their Storyline Entertainment banner. Perry will executive produce along with Zadan and Meron but does not plan to direct. The script will be based on the 2007 biography Oscar Micheaux: The Great and Only: The Life of America’s First Black Filmmaker by film historian Patrick McGilligan. Novelist turned director, Micheaux raised the money to produce the film adaptation of his 1917 book “The Homesteader” after rejecting an option offer from another company when they refused to let him direct. Micheaux is believed to have helmed more than 40 features between 1919 and 1948, working outside the confines of Hollywood in the face of discrimination against an African-American entrepreneur. Early on, Micheaux tackled the problem of distribution by personally driving prints of his films to black communities around the country, where they played to segregated audiences. His films largely featured all-black casts and were an effort to counter racial stereotypes with humanistic portrayals of black life. His notable works included 1920’s Within Our Gates, a response to D.W. Griffith’s epic Birth of a Nation; 1931’s The Exile, his first sound picture; 1938’s Swing! and 1940’s The Notorious Elinor Lee. Many of Micheaux’s films have been lost to history given the lack of preservation and the decomposition of film stock of the era. 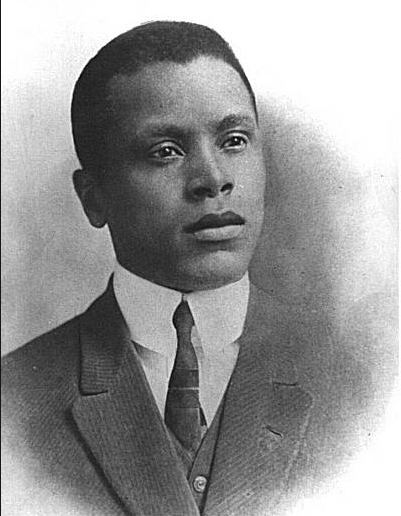 Micheaux died in 1951 at the age of 67. The Directors Guild of America recognized his contributions to film with a posthumous award for directorial achievement in 1986. Source: Variety. 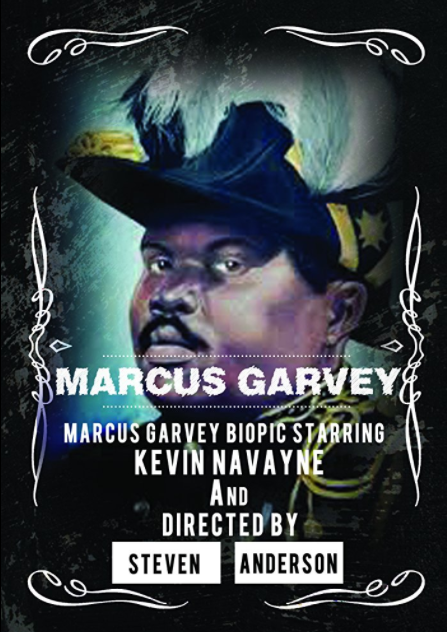 According to Shadow & Act, on 4/20/17, a Marcus Garvey biopic was filming starring Kevin Navayne. Steven Anderson makes his feature film directing debut with a cast that also includes Dennis Haysbert (as Garvey’s father, Marcus Mosiah Garvey, Sr.) and Janet Hubert (as his mother, Sarah Jane Richards), as well as Tobin Bell, Dan Gauither, Rhashan Stone, and Christian Campbell. Financing was provided by private investors. Mr. Navayne is originally from Jamaica, as was the character he’s portraying on film. The legend of Marcus Garvey looms large in Black history, especially to those involved in the Pan-African movement. Garvey’s call for Black self-empowerment is still discussed and debated about to this day. His story has stood the test of time, from his childhood in Jamaica, his activities in the United States, his dreams of a Pan African movement and Back to Africa movement, and his ultimate demise at the hands of the FBI and J. Edgar Hoover. Garvey’s life and his movement’s effect maintained for years after his death. He influenced people like Malcolm X, groups like the Nation of Islam and many others. Sources: Shadow & Act; The Source.